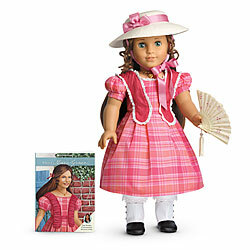 American Girl Dolls Sale: get Marie Grace or Cecile for $67.26 shipped! Supplies are limited so grab it while you can!! I got in on this deal last year and my daughter loves her American Girl doll!! Disney Pictionary Game for $14.39! My family loves game night, so I’m always on the look-out for fun new games to add to our collection. 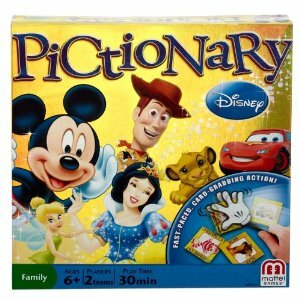 Right now you can get this Disney Pictionary Game for just $14.39! That’s 47% off the retail price of $26.99. 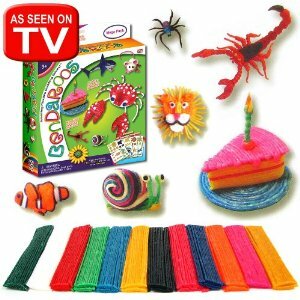 This would be a great addition to your family’s game closet or a great gift for someone else! We bought it last fall and my kids love it! The classic game of Pictionary just got a little more Goofy! Add Disney magic and excitement to the classic game of quick draw! Perfect for the whole family, Disney Pictionary features more than 400 clues with your favorite Disney characters — plus fun Mickey slap hands! Kids and adults will have hours of fun with popular Disney icons. 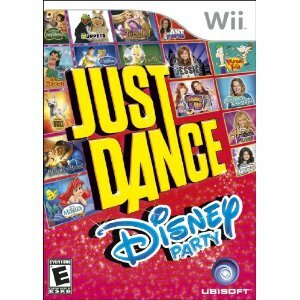 Here’s another deal on a Just Dance Wii game for kids! Just Dance Disney Party is on sale for just $19.99! The regular price is $29.99, so this is a great deal! My kids and I rented this one from Redbox to test it out and we loved it! This is a great way to get your kids moving and keep them entertained during those summer months when it’s too hot to be outside! Twenty-Five Brand-New Dances and Choreographies – Classic Disney songs for the whole family and dances from the hottest Disney Channel shows. Family Fun and Party Fun – Play cooperatively for the highest team score or play Freeze & Shake for extra points. Special Features for the Wii – Classic four-player co-op on Wii and a unique Balloon mode where kids compete against each other to get more items and earn more points by shaking their Wii Remote. New and Improved Features Offer Strong Benefits for Parents – Playlists allow mom to select all her kids’ favorite songs for nonstop dancing and on-screen lyrics help kids learn the words and sing along as they dance. 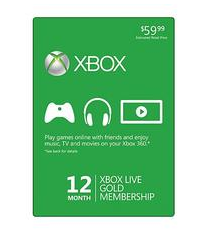 Microsoft XBox Live 12 Month Gold Membership Card for $37.99! If you’re getting an Xbox for Christmas or you need a gift idea for a gamer, get this Microsoft XBox Live One Year membership for $37.99! This is the lowest price I’ve seen since Black Friday! When these memberships went on sale on Black Friday, they sold out quickly, so grab this while you can! These retail for $59.99, so you’re saving $22! These would make a great stocking stuffer for the gamer in your life! With an Xbox LIVE Gold membership, take your Xbox 360 online to play Kinect and controller games with friends wherever they are. Instantly watch HD movies, TV shows and sports, and with Kinect, your voice is the remote control. Not sure what to play or watch? Quickly find new movies, songs or games with your voice. Even use your phone or tablet as a second screen to control and interact with what you’re watching. Plus, now you can explore the web on your TV with Internet Explorer for Xbox.